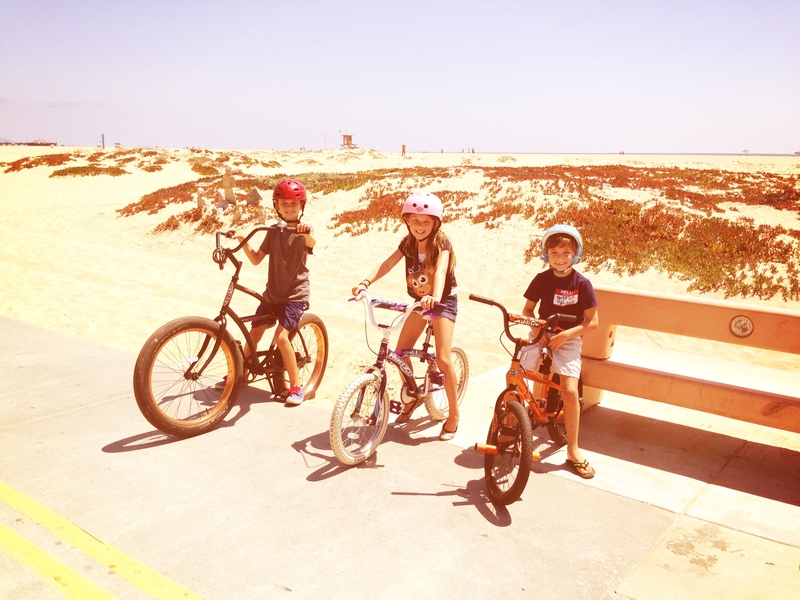 There is nothing better than to load up the back of the car with the family bikes and head to the Balboa Peninsula to bike ride along the boardwalk. 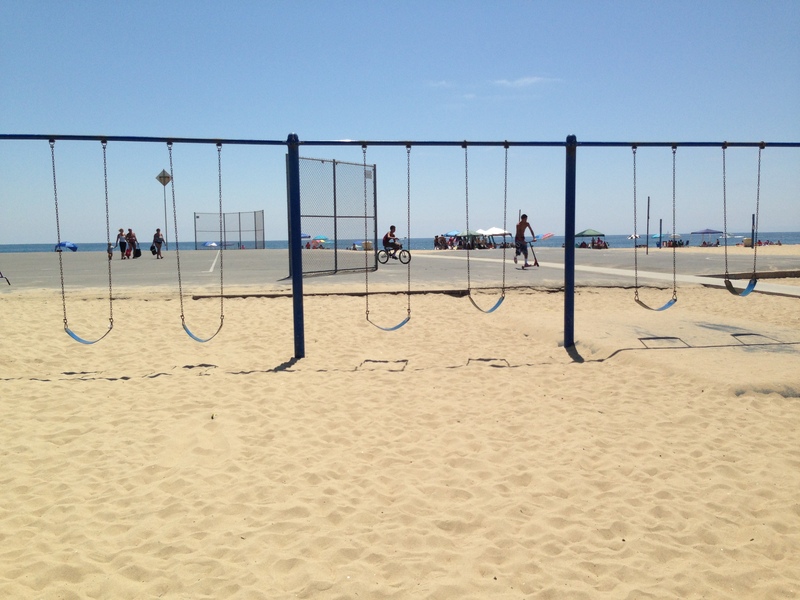 There are so many delicious beachside restaurants, parks to enjoy and of course – the ever famous fun zone. 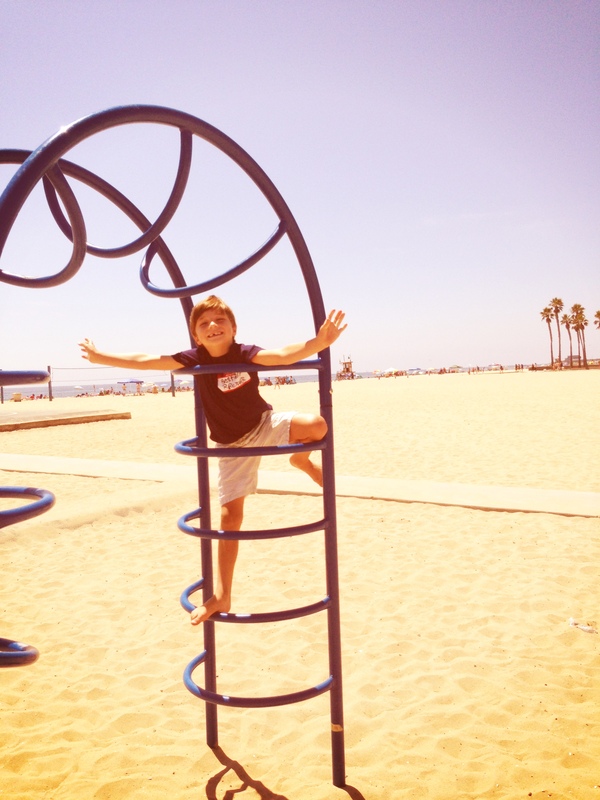 Every time that my family goes down to the Balboa Peninsula for a family bike ride, the kids always love making a stop at the Newport Elementary Beach Playground for some fun after an ice cream cone at the Stuft Surfer Cafe. 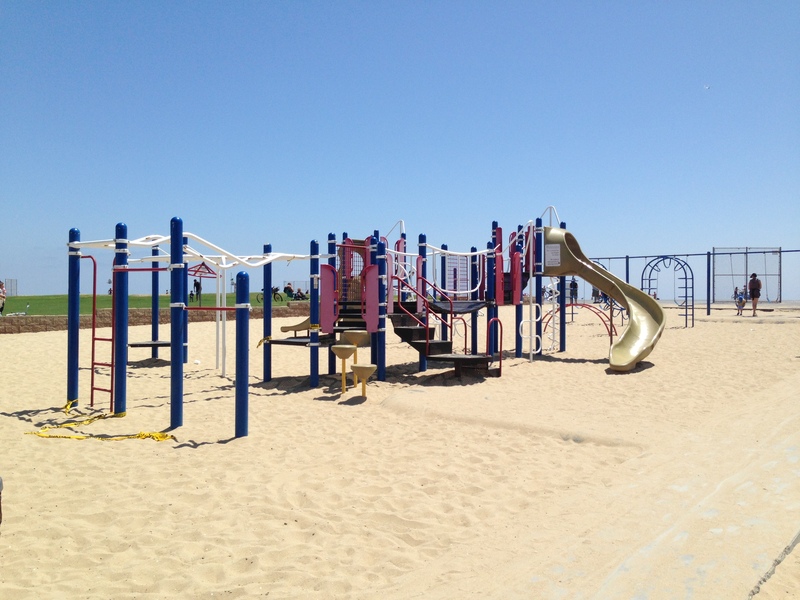 During the weekdays this playground is used for the kids who attend Newport Elementary School, but during the weekends, families are encouraged to enjoy the premiere playground equipment right on the beach. 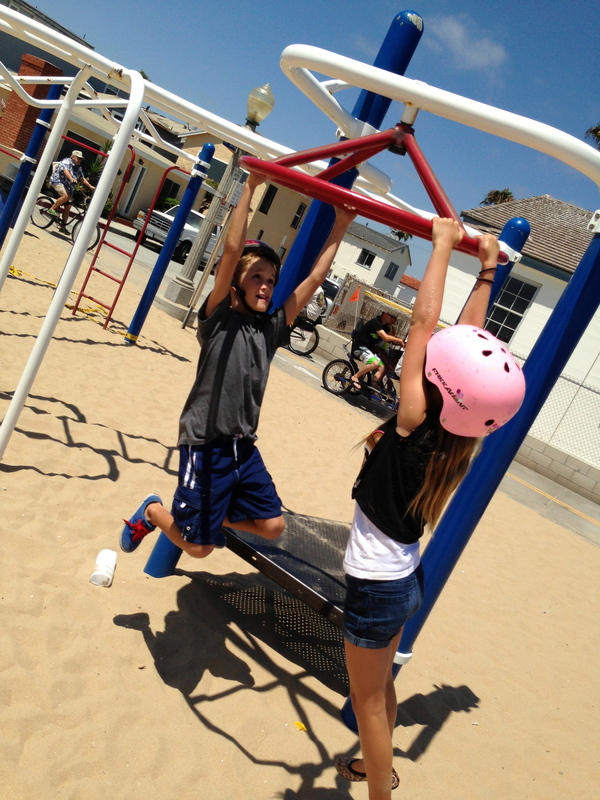 There are two large playground structures, swings, basketball courts, and lots of small climbers. 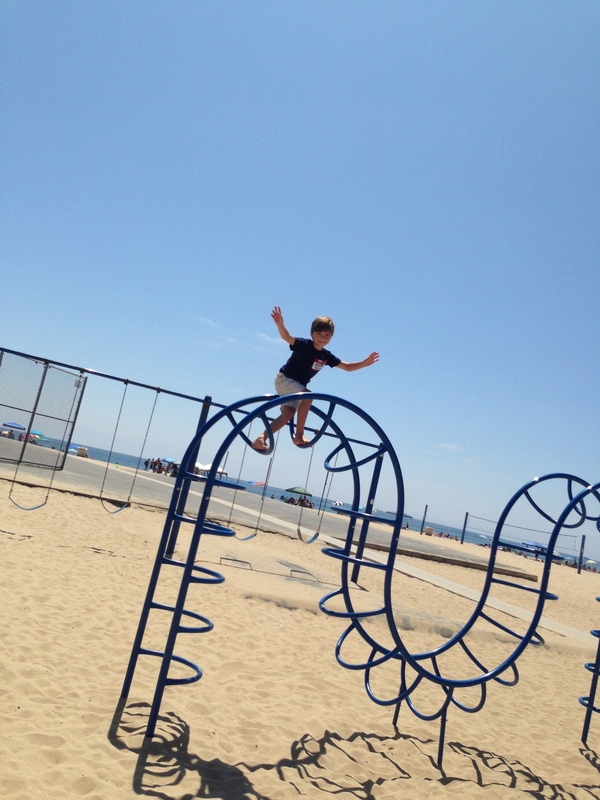 My kids love this park, and could spend hours on it. Why do I love coming back to play on this playground? It was the playground that I once played on in first grade. When my parents were moving from Laguna Beach to Newport Beach, they lived on Lido Isle, and I attended Newport Elementary my first grade year of elementary school. It gives me chills every time that I watch my kids play on this playground feeling like it was just yesterday that I was laughing with my friends on those exact swings. Where is it located? 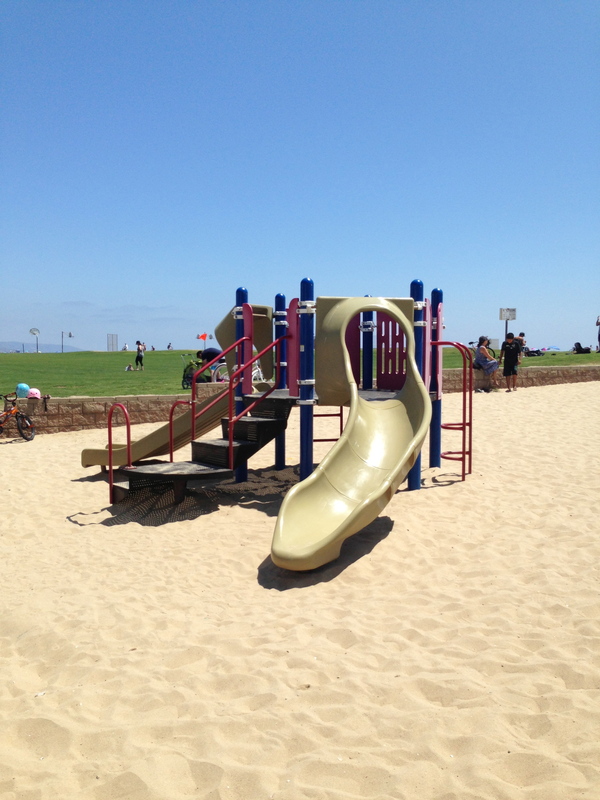 It is located right behind the elementary school on the beach at the corner of West Balboa Blvd. and 14th Street. Parking is always a challenge on the weekends around the Balboa Peninsula. We always find the closest parking available, and start our adventure from there. You can’t go wrong starting a fun weekend afternoon anywhere along the boardwalk, and just begin exploring!